As many rumors have suggested, during its WWDC keynote moments ago, Apple unveiled updated MacBook Air laptops, new MacBook Pros, and a brand new “next-generation MacBook Pro,” which comes loaded with a high-resolution “Retina” display and a brand new design. Some initial specs are below. All of these computers are available today. Ports: HDMI, two USB 3.0 ports (compatible with USB 2.0), two Thunderbolt ports, SD card reader, MagSafe 2. Thunderbolt adapters for FireWire 800 and Ethernet. Other: Wi-Fi and Bluetooth 4.0 are also included. Apple talked a lot about the laptop’s “asymmetrical fan” as well as its 720p FaceTime webcam. Dual microphones, a backlit keyboard, and new speakers are also included. Pricing for computers vary, but Apple showed off a version of the new MacBook Pro for $2,200 with the following specs. Apple also unveiled some rather standard upgrades to the standard MacBook Air and Pro lines. 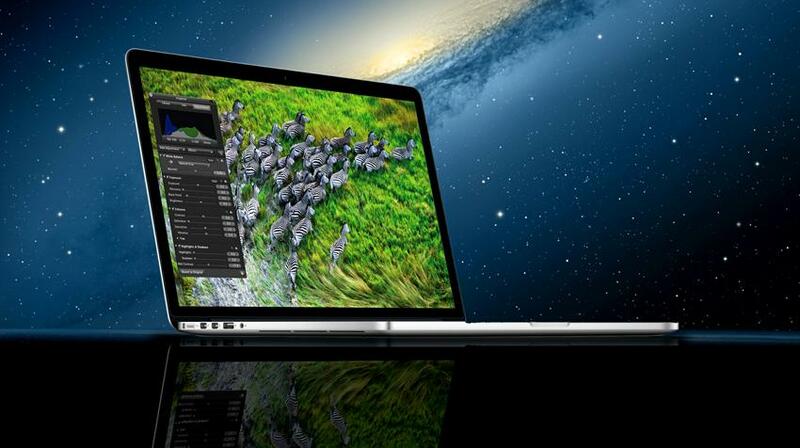 Neither have Retina displays, but their resolutions have been upgraded to 1440 x 900 for the 13-inch and up models. New Intel Ivy Bridge processors with Turbo Boost, RAM up to 8GB, flash storage up to 512GB, USB 3.0 ports, 720p HD webcams, and “60 percent faster graphics” are present in the new Airs and Pros. Great larger versions will run around $1,500. All of these MacBooks will be upgradable to OS X Mountain Lion, which will be available in the next month or so, according to Apple. We’ll have an update on that shortly.